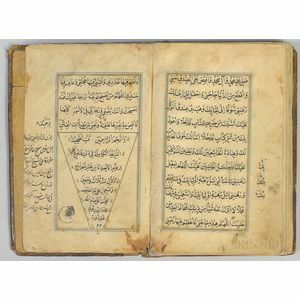 Arabic Manuscript on Paper, Sahifeh Sajjadieh , Calligrapher Emad al-Din Tooni, 973 AH [1566 CE]. Arabic Manuscript on Paper, Sahifeh Sajjadieh , Calligrapher Emad al-Din Tooni, 973 AH [1566 CE]. 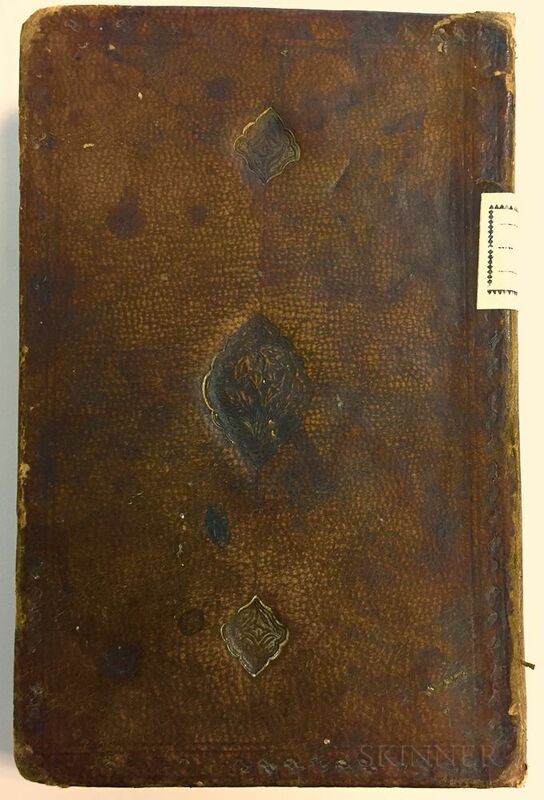 Arabic Manuscript on Paper, Sahifeh Sajjadieh , Calligrapher Emad al-Din Tooni, 973 AH [1566 CE]. 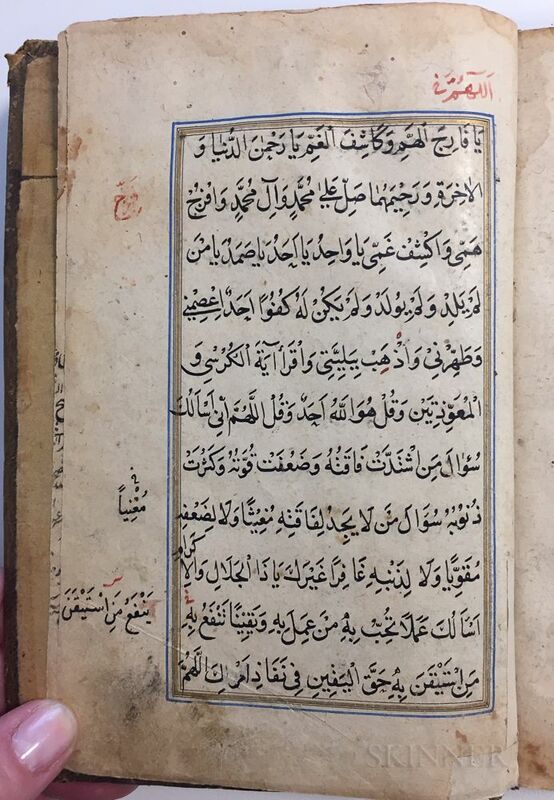 Arabic Manuscript on Paper, Sahifeh Sajjadieh , Calligrapher Emad al-Din Tooni, 973 AH [1566 CE]. 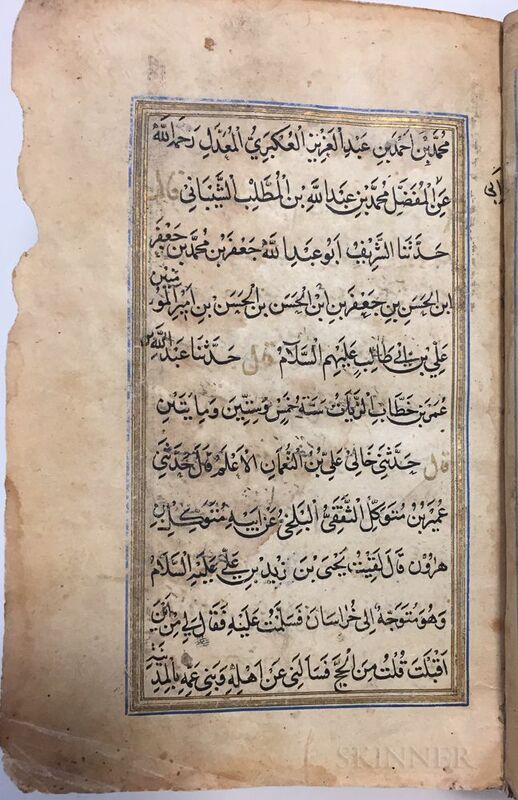 Arabic Manuscript on Paper, Sahifeh Sajjadieh , Calligrapher Emad al-Din Tooni, 973 AH [1566 CE]. 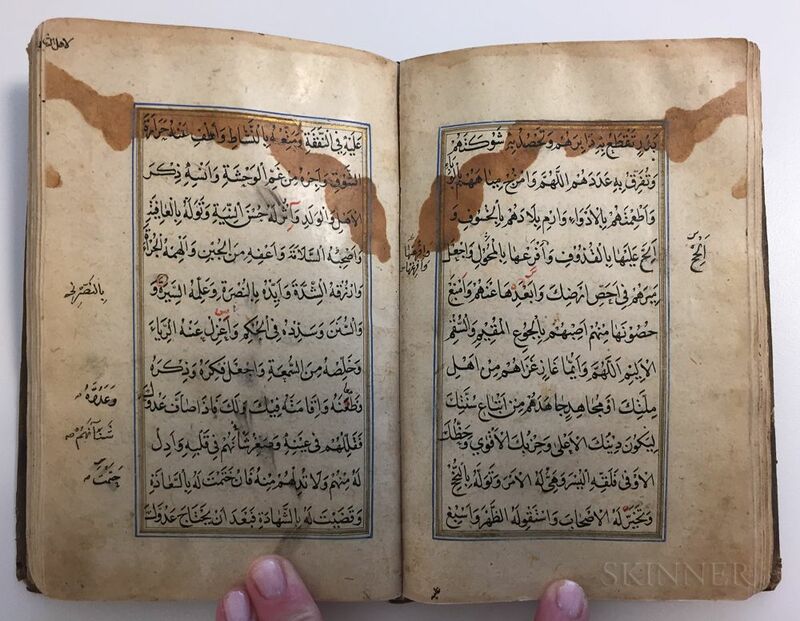 Arabic Manuscript on Paper, Sahifeh Sajjadieh , Calligrapher Emad al-Din Tooni, 973 AH [1566 CE]. 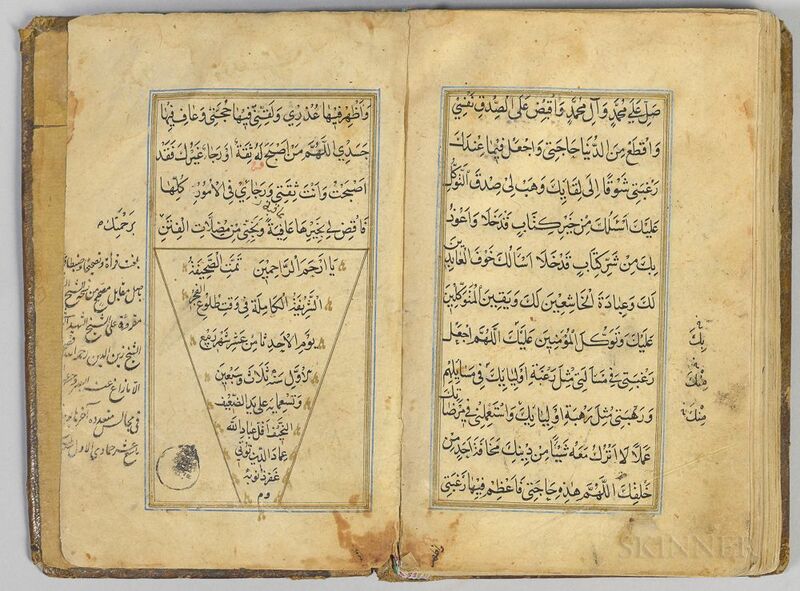 Arabic Manuscript on Paper, Sahifeh Sajjadieh , Calligrapher Emad al-Din Tooni, 973 AH [1566 CE]. 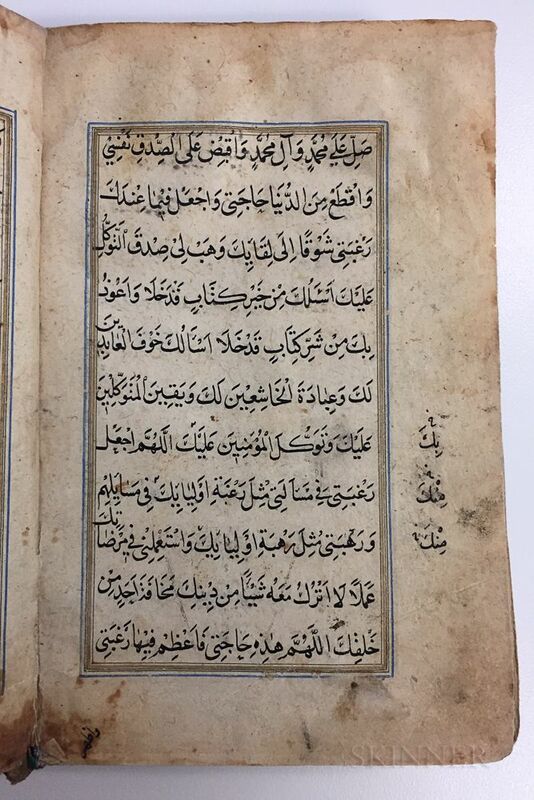 Arabic Manuscript on Paper, Sahifeh Sajjadieh , Calligrapher Emad al-Din Tooni, 973 AH [1566 CE]. 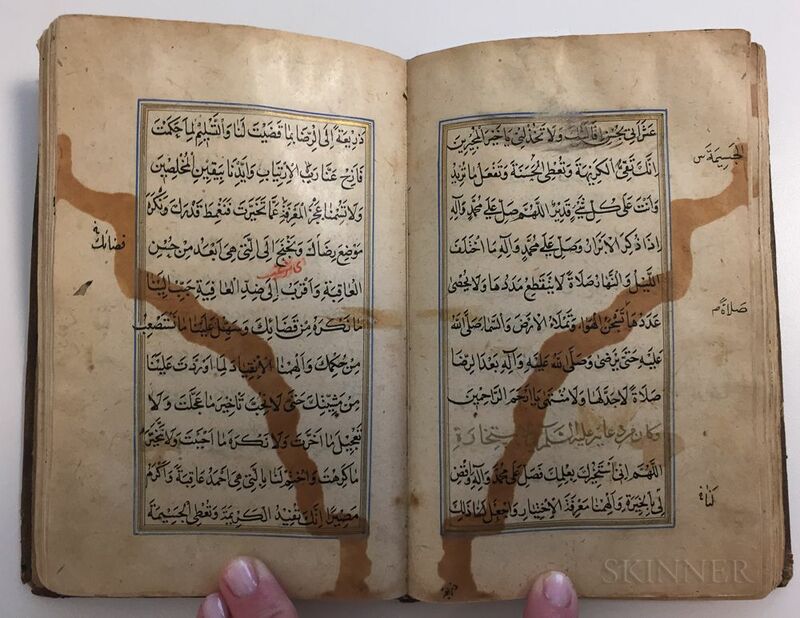 Arabic Manuscript on Paper, Sahifeh Sajjadieh , Calligrapher Emad al-Din Tooni, 973 AH [1566 CE]. 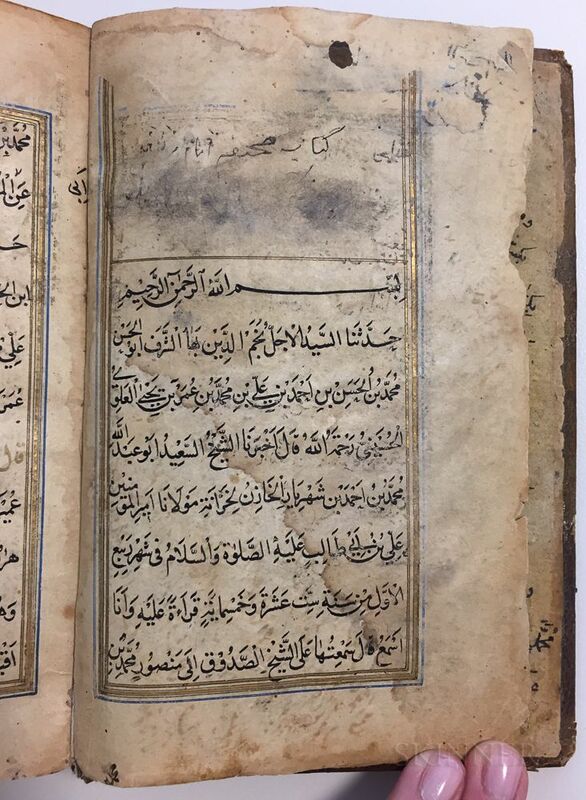 Arabic Manuscript on Paper, Sahifeh Sajjadieh , Calligrapher Emad al-Din Tooni, 973 AH [1566 CE]. 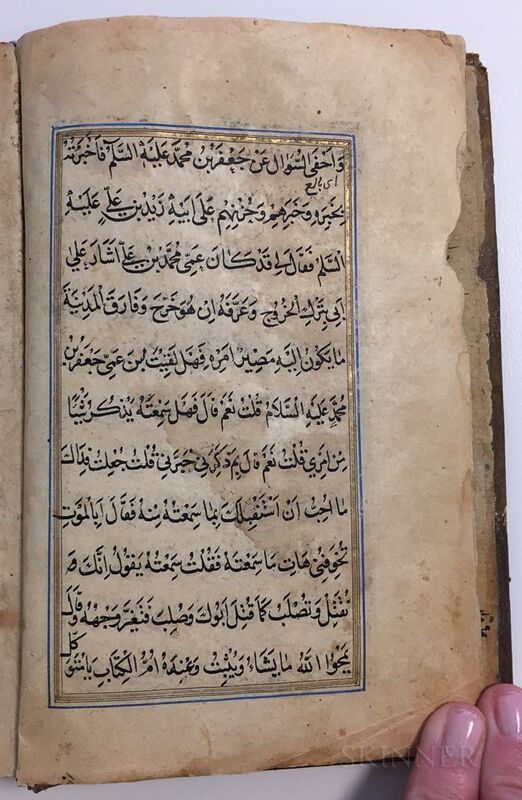 Arabic Manuscript on Paper, Sahifeh Sajjadieh , Calligrapher Emad al-Din Tooni, 973 AH [1566 CE]. 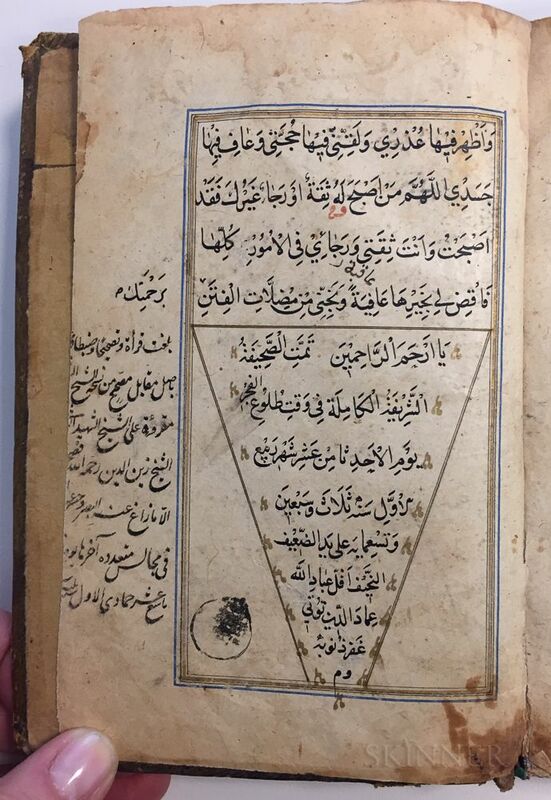 Arabic Manuscript on Paper, Sahifeh Sajjadieh, Calligrapher Emad al-Din Tooni, 973 AH [1566 CE]. 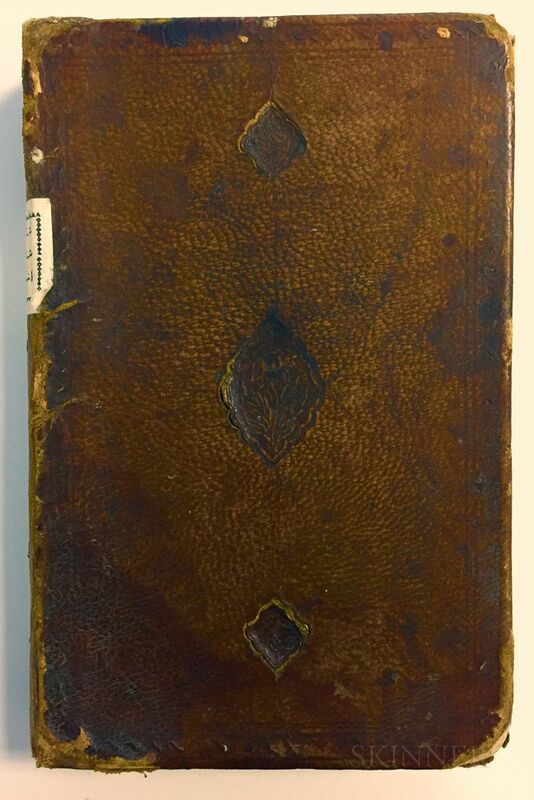 Small octavo manuscript on polished laid paper, eleven lines of text written in black, red, and gold ink within a gold and blue lined border, bound in full contemporary blind-tooled brown goatskin, approximately 140 leaves, some stains and other damage to contents, 6 3/4 x 4 1/4 in.